Happy Friday everyone! I'm excited to start sharing the samples that I made for Leadership with you today. The North American Artisans all got to make 12 samples - 3 for 4 different categories. So over the next four weeks we will be sharing the samples we made one category at a time. Just use the blog roll at the end of the post to visit everyone. 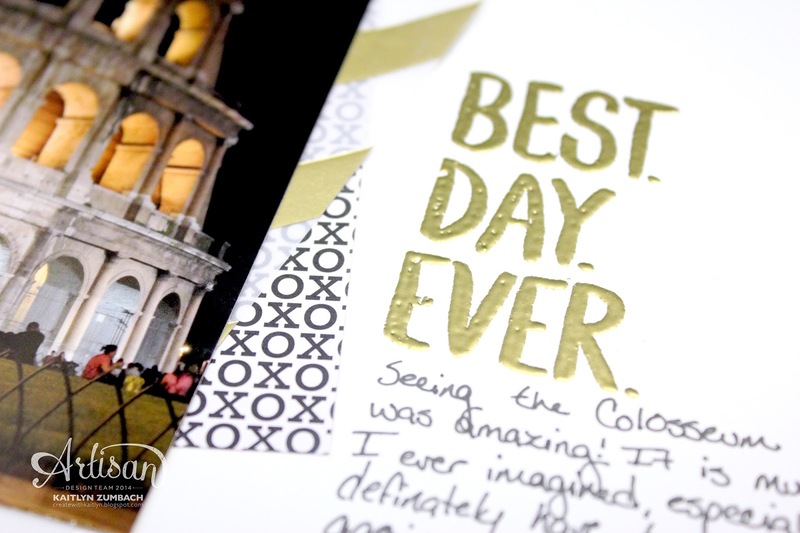 The first category I had was the Best Day Ever stamp set (free during Sale-A-Bration!) with the Stacked with Love Designer Series Paper. The special thing about this first card is the "you made my day." 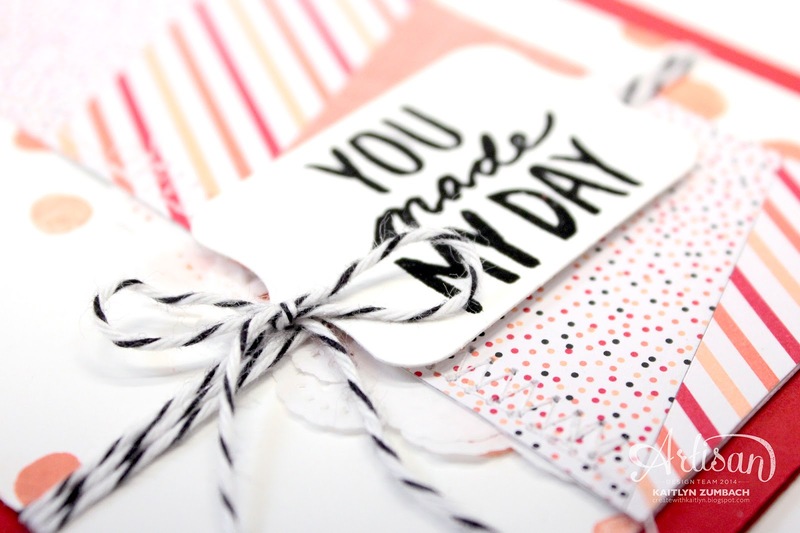 The sentiment is normally vertically stacked, but I used my Calypso Coral and Crisp Cantaloupe Stampin' Write Markers to make it sit horizontally across the card. I especially love the dainty touches of the doilies, ribbon, and twine paired with the wood-grain texture. 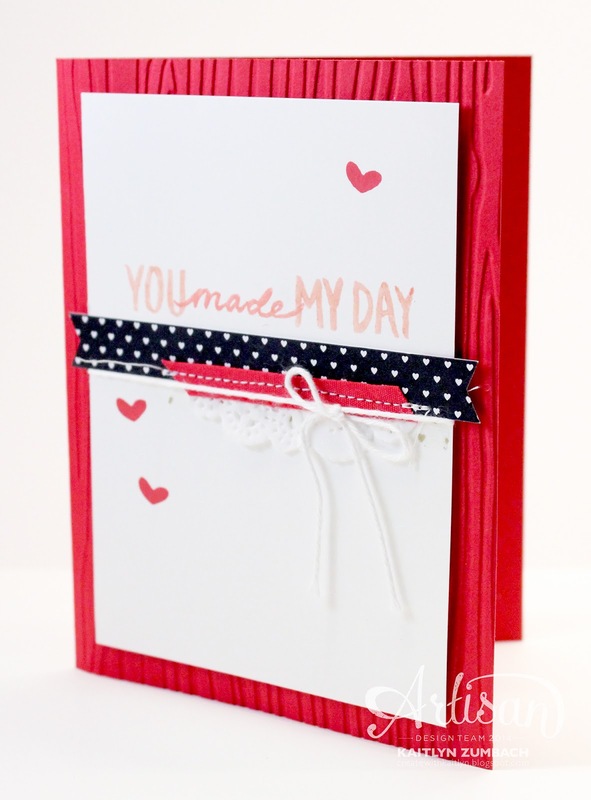 This next card was intended to show off the Stacked with Love Designer Series Paper. 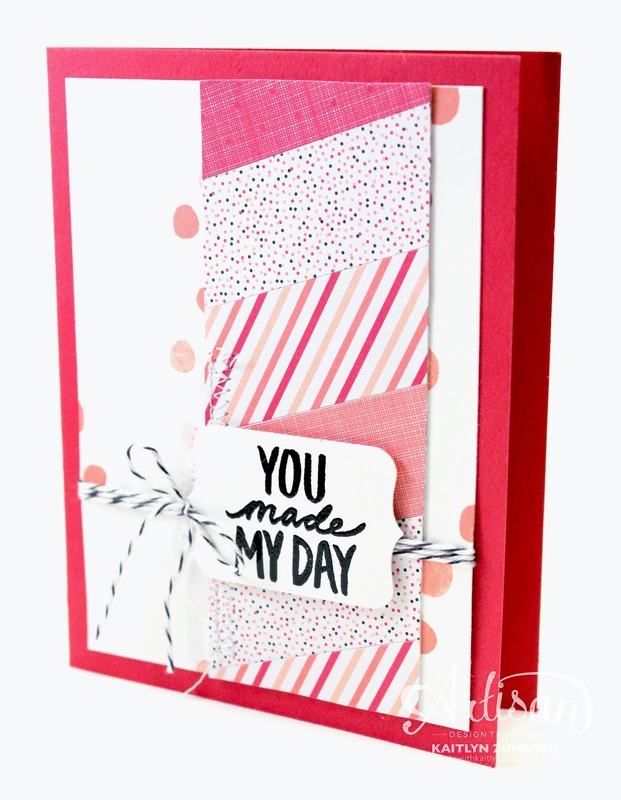 To get this look, cut a piece of card stock the desire size of the stripe. 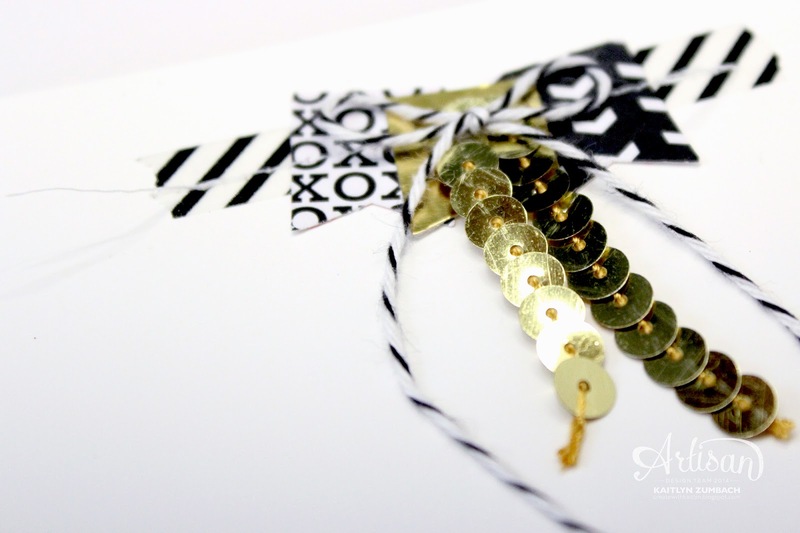 Then glue the strips of Designer Series Paper to the card stock at an angle and then trim off the excess. It is such a fun look! After I finished this scrapbook page, I didn't want to send it off. I absolutely LOVE it! I'm not sure if I love the black, white, and gold color scheme or the memory of Rome more. "Best. Day. Ever." is exactly how I felt seeing the Colosseum for the first time that night. Even though the Stacked with Love Designer Series Paper seems intended for Valentines, it is perfect for everything. Be sure to see what the other North American Artisans made for Leadership by using the blog roll below! Kaitlyn Zumbach - That's me! 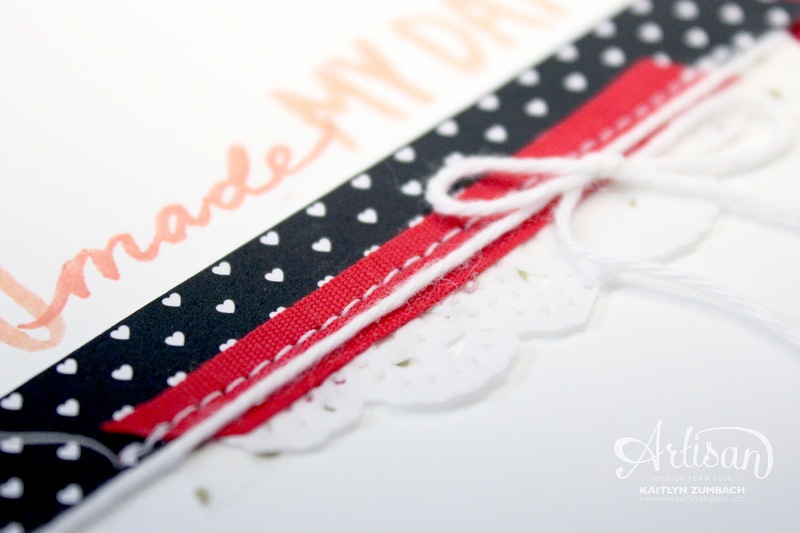 Follow 2015 Stampin' Up! Leadership Display Samples on Pinterest.